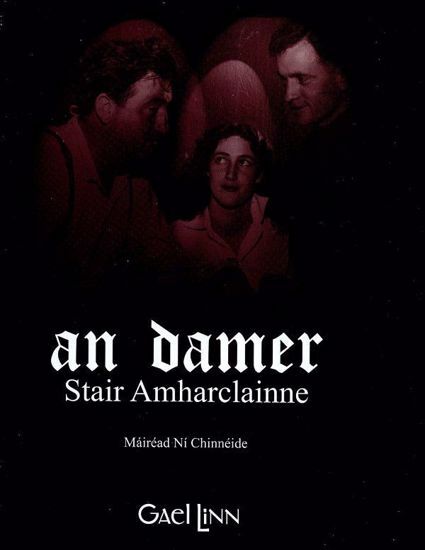 The Damer theatre was established by Gael Linn in1955 and operated under its auspices until 1976. Housed in Damer Hall, St Stephen’s Green, An Damer was an innovative theatre, many of whose plays were critically acclaimed. The period of An Damer is regarded as having been a halcyon period in Irish language theatre. The book tells of the cultural background of Dublin in the 1950s and of the vibrant Irish speaking ambience created by An Damer. Amateur and professional worked together to produce works written by leading Irish writers who included on Brendan Behan or Breandán Ó Beacháin. Dramatists: among those who wrote for an Damer were Professor Seán Ó Tuama of UCC, Eoghan Ó Tuairisc and Máiréad Ní Ghráda. One of the most famous plays staged at an Damer was An Giall by Brendan Behan, a play which went on to achieve world-wide fame in an English adaptation The Hostage. Another famous premier was An Triail by Máiréad Ní Ghráda which starred Finula Flanagan and poet Caitlín Maude. Producers: Frank Dermody (Proinsias Mac Diarmada) was artistic director for a time. Other directors included: Tomás Mac Anna, Niall Tóibín, Noel Ó Briain, Seán Ó Briain and Dónall Farmer. Many went to become producers and professional actors with RTÉ. Actors: The list of accomplished actors includes: Áine Ní Mhuirí, Máire Ní Ghráinne, Breandán Ó Dúill agus Fionnula Flanagan. Riobard Mac Góráin : The book is dedicated to the late Riobard Mac Góráin, former Ceannasaí of Gael Linn who was a guiding light of An Damer and did trojan work on its behalf.